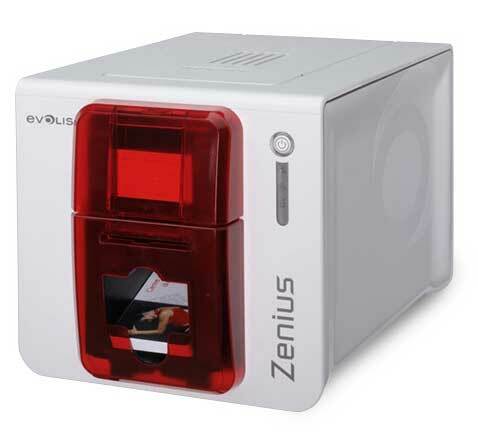 User-friendly, compact and cost-effective solution - The Zenius printer is designed for single-sided printing and encoding of any type of plastic cards. Zenius was designed to be intuitive and easy to use. You insert your cards individually or use the automatic feeder, and the final product is delivered on the front of the printer. With the Evolis Premium Suite® software you can receive notifications and easily control the printer from your computer. Evolis High Trust® ribbons are easy to install and automatically recognized by the printer.